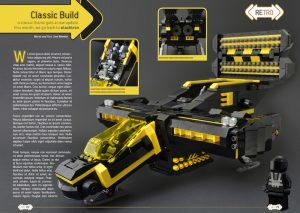 Brought to you by the team behind brickfanatics.com, Brick Fanatics Magazine is a new 80-page, A5-size print magazine all about LEGO, for fans of the brick looking to build upon their hobby in any way they want to. There are three regular sections to Brick Fanatics Magazine – On Topic offers insight, opinion, statistics and humour on the latest goings on in the LEGO world; Review+ brings a new level of focus and presentation to the most interesting LEGO releases with more than just simple reviews; and Retro provides a healthy dose of nostalgia, from fun facts on classic sets to new builds in old themes. Each issue of Brick Fanatics Magazine also has columns from Christian Faber, a man involved in many of the LEGO themes you will have played with over the past 30 years; Kevin Hinkle, fresh from 12 years working at the LEGO Group and bursting with fascinating stories from behind the scenes; and innovative fan builder Jme Wheeler, whose quantity of LEGO bricks is matched only by his number of ideas on what to do with them. Alongside all of the above, each issue contains LEGO builds, tips, graphics, interviews, features and much more. 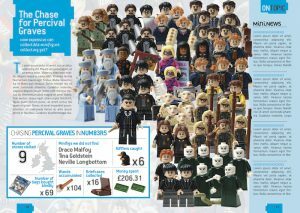 There is a lot to discover in every issue of Brick Fanatics Magazine, and something for every LEGO fan. Brick Fanatics Magazine will be available worldwide via our website and published monthly from the release of Issue 2 in early 2019. However, we are delighted to be able to offer Issue 1 and subscription packages for purchase much sooner – details on how and where to order will be announced shortly. Note: filler text used, artwork liable to change. Due for delivery from October 26, Issue 1 features a detailed look at the gigantic 71043 Hogwarts Castle, including a walkthrough by LEGO Designer Justin Ramsden; an awesome, expert solution to add height and authenticity to 75222 Betrayal at Cloud City; and our own new entry into the classic theme that is Blacktron. We also meet the family behind the innovative Play Well Africa initiative, discover some interesting stats behind buying Collectible Minifigures, and let toy photographers Stuck in Plastic loose on 21311 Voltron. 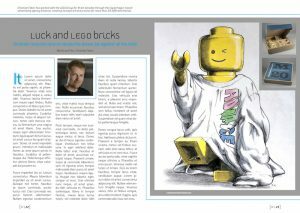 Brick Fanatics Magazine is published by Tiro Media Ltd and is supported by the LEGO Group through the Community Engagement Team’s Recognised LEGO Fan Media initiative. LEGO, the LEGO logo, the Minifigure, the Brick and Knob configurations are trademarks of the LEGO Group, which does not sponsor or endorse Brick Fanatics Magazine. 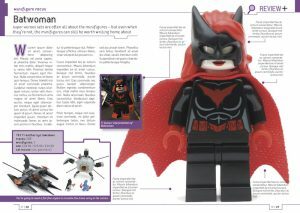 Visit brickfanatics.com for regular updates and information regarding Brick Fanatics Magazine.